Home » Uncategorized » Where Did January Go? They say that time passes quicker the older you are and everyone that I have spoken to this week – young and old – seems to have remarked how January has flown by. For me January has been really busy working with clients and that leaves little time for planning and doing the normal day-to-day business ‘things’; well it would do if I wasn’t organised with a set structure and process to prioritise tasks, so how about you? Are you struggling to fit everything into your day? Is your to-do list longer at the end of the day than it was at the beginning. In fact do you have a to-do list or do you just do things as they happen? So what can you do to get yourself organised? The first thing is to track what you are doing now and in the next 2 weeks, so that you know what you are doing with your time on a daily basis. 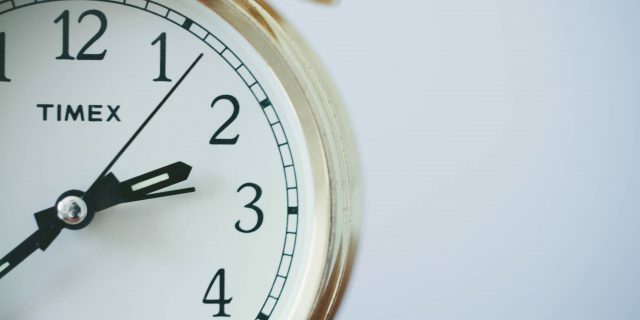 Split your day down into 15 minute slots and enter what tasks you do in each slot – download our Actual Time Usage Table plus an example of usage Example Time Usage Table Once completed analyse your usage or send to info@healdi.co.uk for a free analysis. 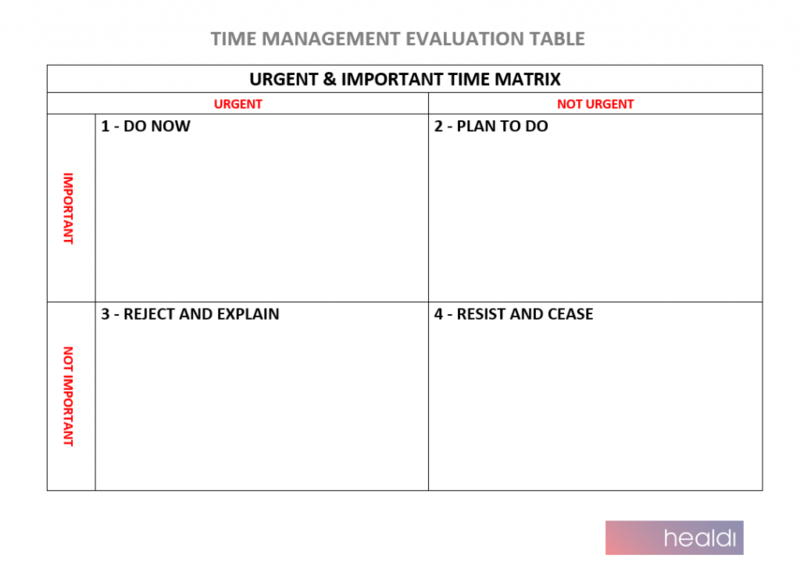 Once you know how your time is being used you can then start to manage your time by splitting the tasks into a time management matrix table. Time will still pass you by however you have now started the process of being in control. Contact me to improve your time management and take control of your life.